﻿﻿This is our gift to Detroit. 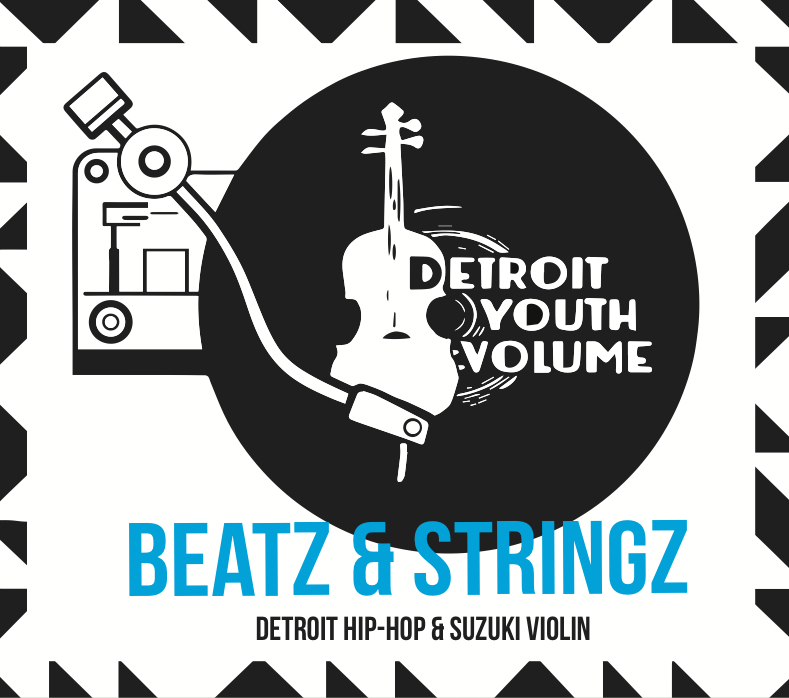 Youth violinists from Detroit Youth Volume released their debut album in August 2016. 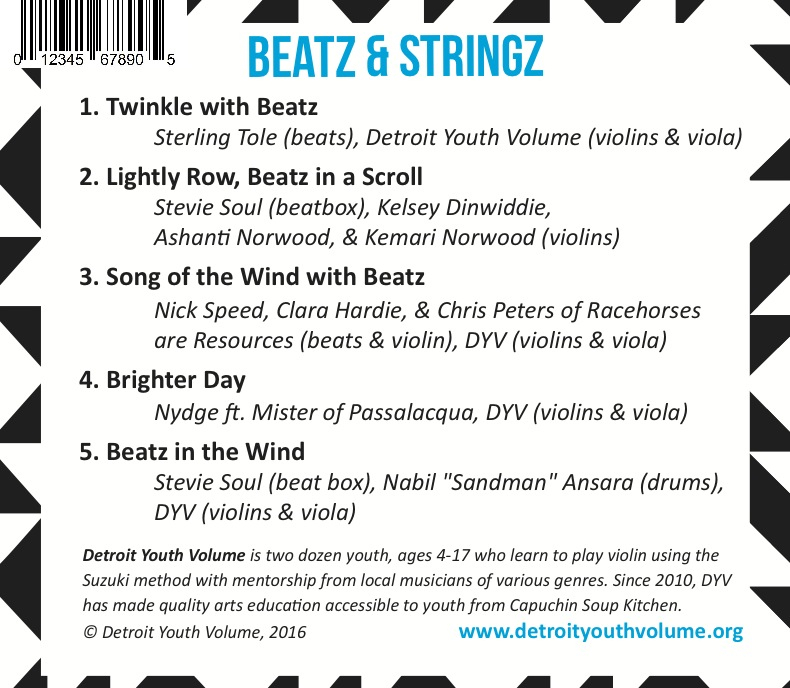 After winning over $20k from Knight Arts & a People's Choice Award, they professionally recorded masterpieces integrating internationally-loved Suzuki violin repertoire with hip hop beats from world-class, locally-loved artists Sterling Toles, Stevie Soul & Nick Speed. At the Museum of Contemporary Art Detroit, while wearing fabulous outfits individually made for each performer, the youth violinists & their hip hop mentors unveiled collaborative jams to celebrate, reflect and further what’s happening, and what’s been happening, in the City of Detroit. In November 2015, DYV won a Knight Arts Challenge Detroit matching grant of $22k. The match was raised with support from Lower East Side Community Grant Program, Capuchin Soup Kitchen, Park West Foundation & over 100 individual donors who donated during our kickstarter campaign. You can help continue making quality arts accessible to low-income youth. ​Donate to DYV and get our album as a token of graditude!